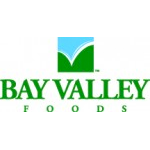 Bay Valley Foods | Favorite Foods, Inc. When you partner with Bay Valley Foods, you’re working with one of the world’s premier food companies in every major channel of distribution. Today, we’re a leading supplier of shelf stable foods with a broad range of national and regional brands designed to help make your life easier. Our mission is to be the leading supplier of store branded products in the U.S., complimented by strong regional brands. We’re committed to continuous improvement as demonstrated by our manufacturing expertise, innovative products, superior research & development, strong regional brands, and state-of-the-art facilities and technology. As change continues to influence business, Bay Valley Foods will maintain and improve its high degree of flexibility and speed in order to meet your needs. No one does more to assure you’re always getting the very best. Every day our customers count on us to deliver exceptionally tasty, appetizing, rich products that exemplify great value. At Bay Valley Foods, dedication to achieving the highest quality is constantly taken to a higher level. Bay Valley Foods is one of the nation’s leading suppliers of pickles, soup, salsa, peppers, relishes, aseptic sauces, powdered products, salad dressings, marinades, sauces and jams/jellies/preserves/fruit spreads to major retail, foodservice, bulk and ingredient and international customers. We’re committed to maintaining the leading share of private label retail and foodservice pickle sales in the United States with pickles, peppers and relishes marketed throughout the nation.